Slow-Release Nutrients Ensure a Long Season of Gorgeous Blooms!Did your perennials bloom better in years past? If so, your plants could be starved for nutrients. Our formula slowly releases nutrients to keep flowers blooming longer. This makes plants stronger and able to ward off diseases and insects as well as beat the stress from heat and drought. 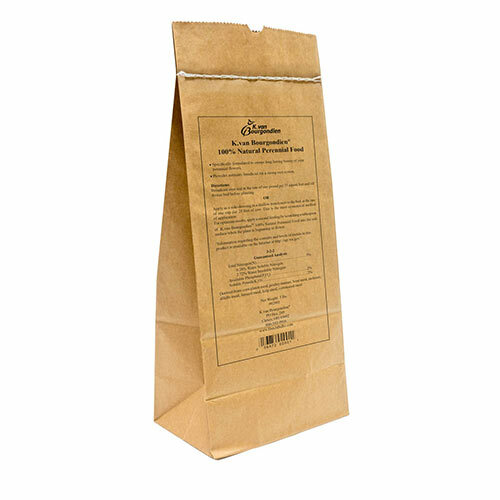 Botanical Name: 100% natural Perennial Food (3-2-2) - 3lbs. 100% natural Perennial Food (3-2-2) - 3lbs.